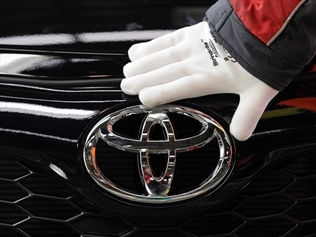 TOYOTA is expected to make a major announcement on Monday regarding its future in Australia. Toyota Australia President and CEO Max Yasuda made the announcement to staff in Melbourne late on Monday. “This is devastating news for all of our employees who have dedicated their lives to the company during the past 50 years,” Mr Yasuda said in a statement. About 2500 manufacturing workers are expected to lose their jobs because of Toyota’s decision, while corporate jobs may go too after a review of the company’s operations. In a company statement, Toyota cited the high Australian dollar for making exports unviable, as well as the high costs of manufacturing within one of the most fragmented markets in the world. Mr Yasuda said manufacturing operations in Australia have continued at a loss despite efforts to turn things around. Toyota’s announcement follows Ford and Holden’s decision – leaving Australia without a local car manufacturing industry by 2017. National AMWU vehicle secretary Dave Smith said the decision would have devastating impact on everything from road transport to shipping and beyond. “The magnitude of this decision in the community cannot be underestimated,” he said. Prime Minister Tony Abbott was asked about Toyota jobs about an hour before the announcement but had no details.